We stayed for 5 nights over the kids' spring break. The King Bed Deluxe Junior Suite Beachview room was great for us! It gave the kids some privacy and their own TV. Also the lounging area was nice at lunch time and in the evenings. Coffee on the balcony... great view! We loved the 3 pools and 2 hot tubs. Ice cream by the pool was something the kids will always remember. The beach gets crowded at times, but we prefer to walk and enjoy the ocean, so this wasn't an issue for us. The spa was nice and the staff there is excellent. We utilized the fitness center a few times while we were there, and while often crowded, it was nice, clean and had enough equipment for a good workout. Lunch at the bar was good; most meals are enough to share! The location was excellent for us with food and shopping close to the resort and Baytowne Wharf right across the street. The Donut Hole is only a short drive for a great breakfast or lunch. Highly recommend for a family stay, and be sure and sign up for Hilton Honors if you haven't already. 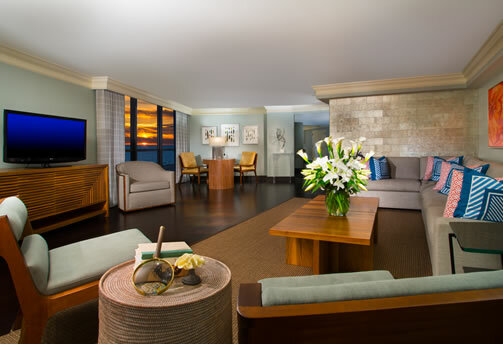 The Spa Tower is home to our two most luxurious and spacious accommodations – our elegant Presidential Suites. 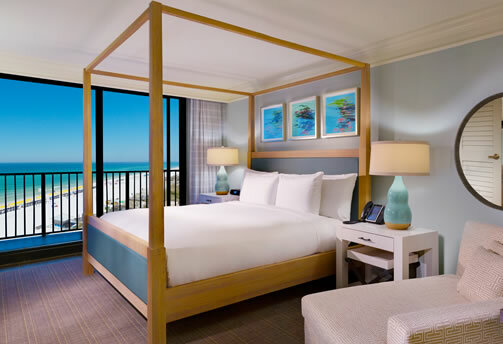 Located on our Spa Tower’s sixth and seventh floors, these lavish suites boast four-poster king beds, hardwood floors, double balconies, marble baths, steam showers and breathtaking views of the Gulf of Mexico from every room. 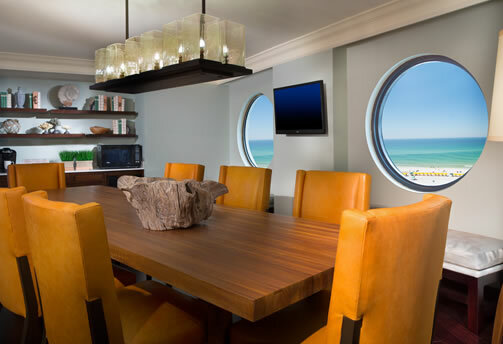 Whether your stay in Destin, Florida is full of activity and entertaining, or a chance to escape to a beach sanctuary like no other, the Presidential Suite at the Hilton Sandestin Beach offers a rare indulgence marrying the exclusiveness of a private beach retreat and the incomparable amenities of a world-class full-service resort!